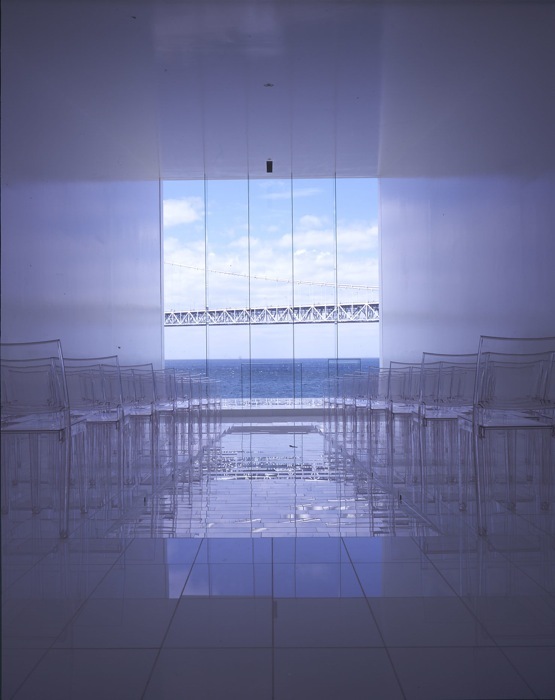 Located on a dramatic site along Kobe’s Seto Sea coast, this small chapel has a fantastic view of both Akashi Bridge and Awajishima.My main goal was to unite the beauty of these spectacular surroundings with the architecture and make them one and the same. 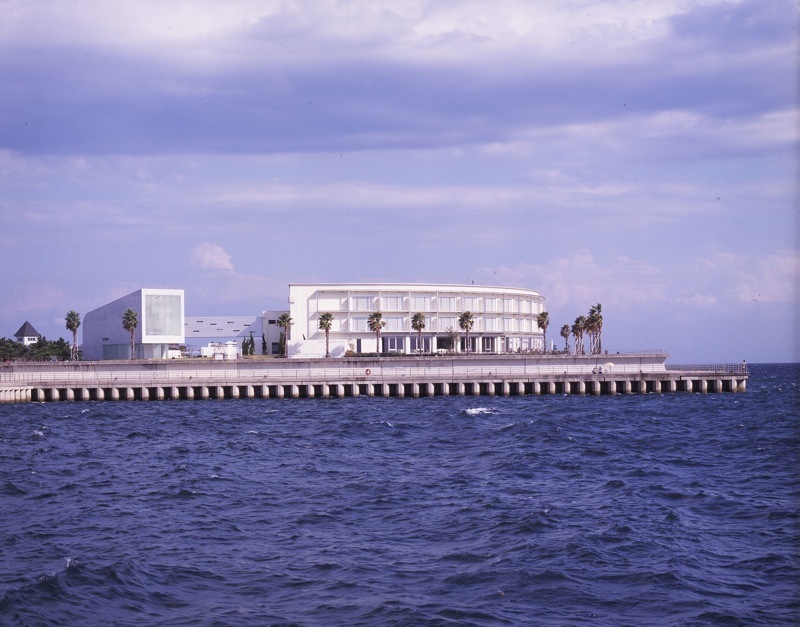 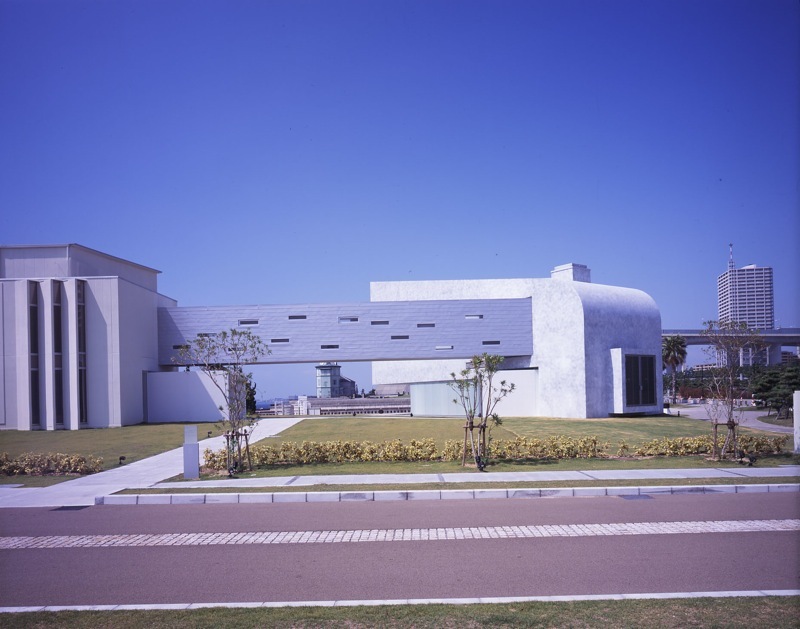 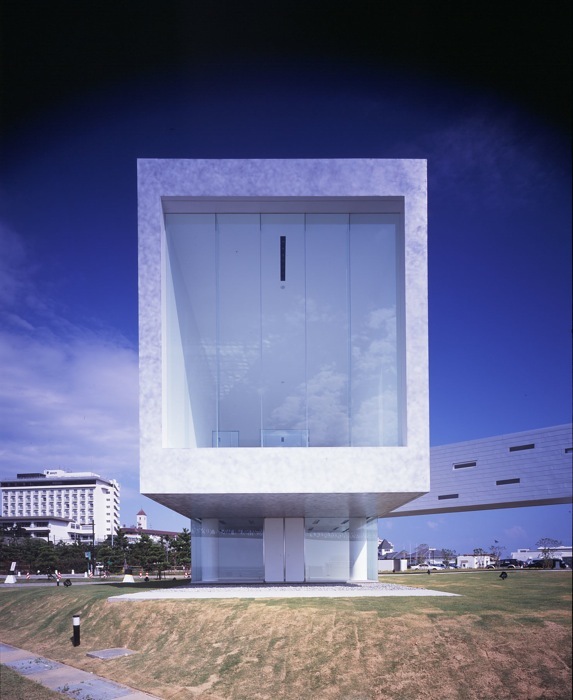 The chapel rises slightly towards the sky from ground level so that is more connected with sea and sky than just the ground plane.The raised volume is supported and connected with grade through translucent glass walls which contain all service and dressing rooms.The exterior facade is composed of mottled concrete, which gives the impression of light fluffy clouds and further joins the structure with its surroundings. 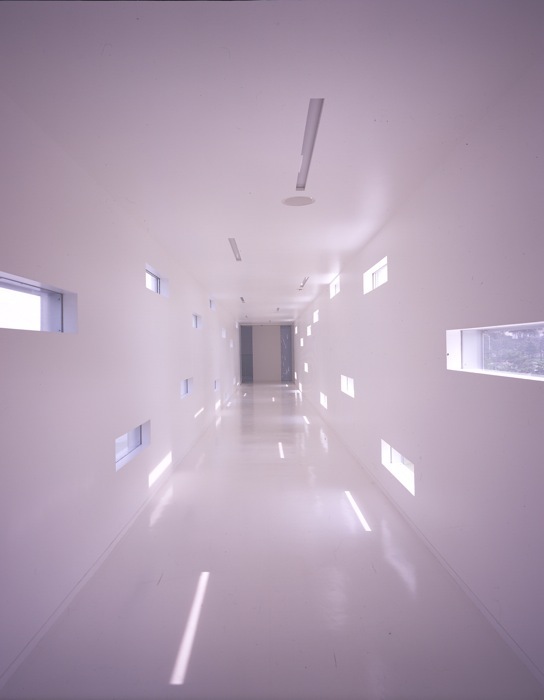 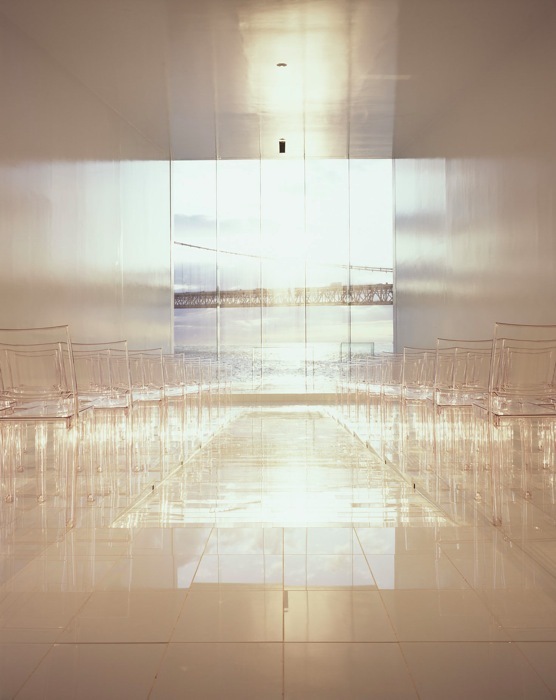 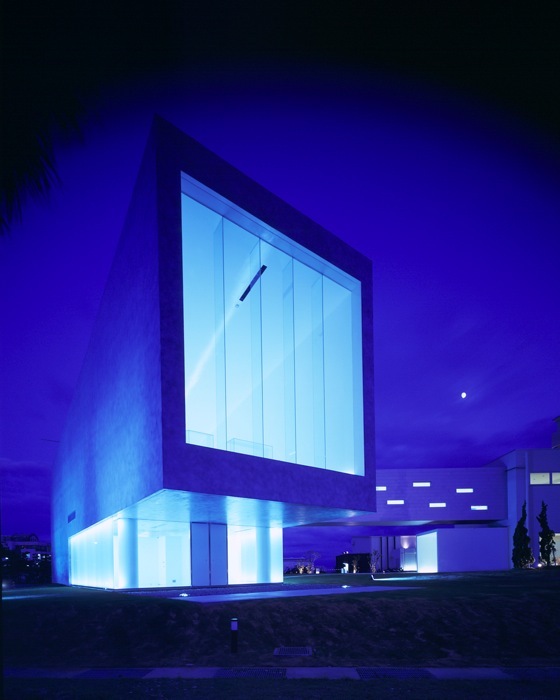 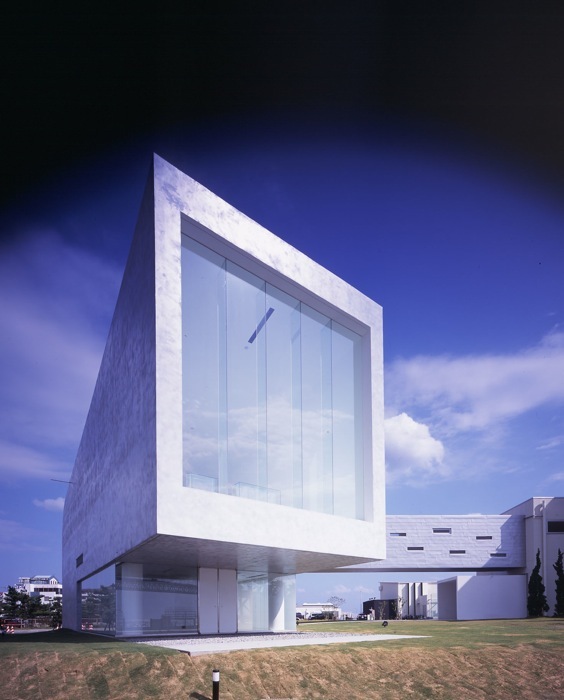 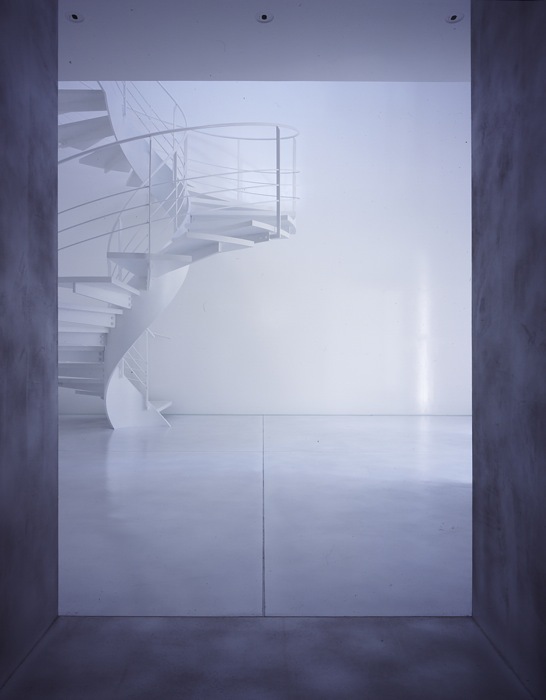 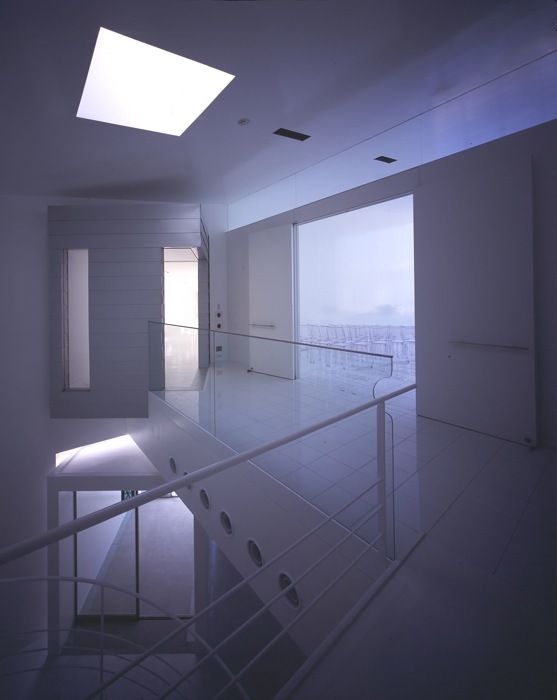 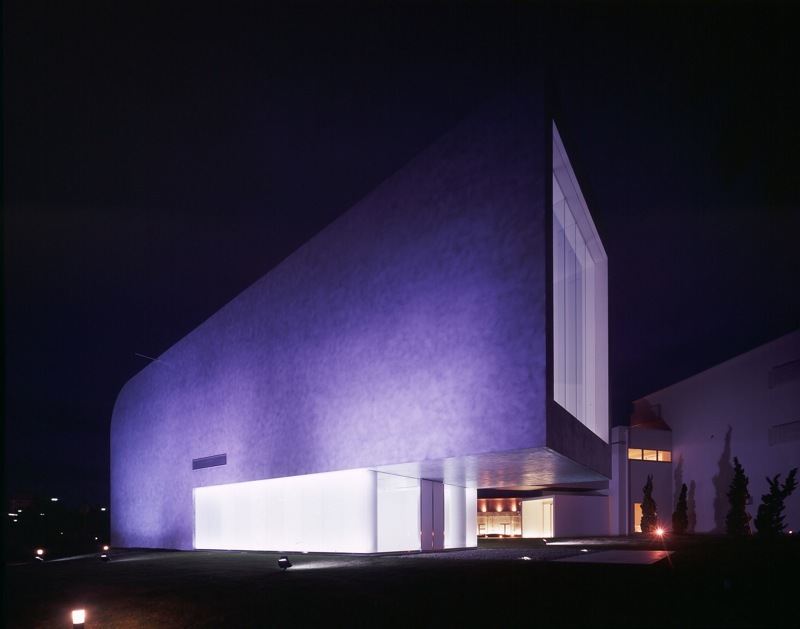 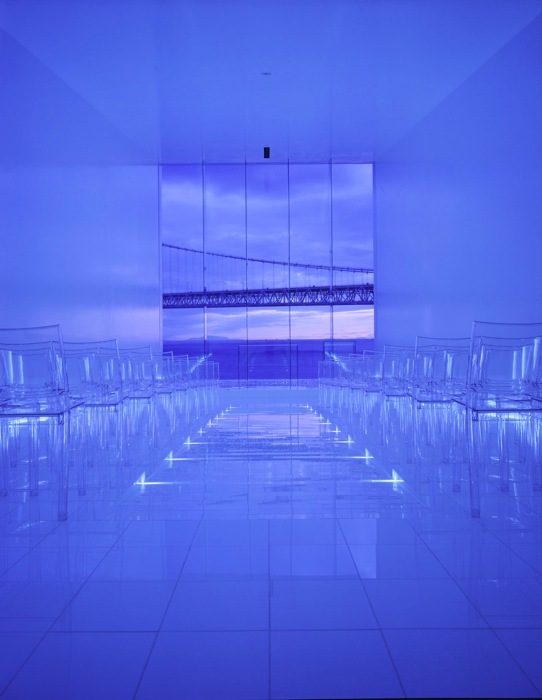 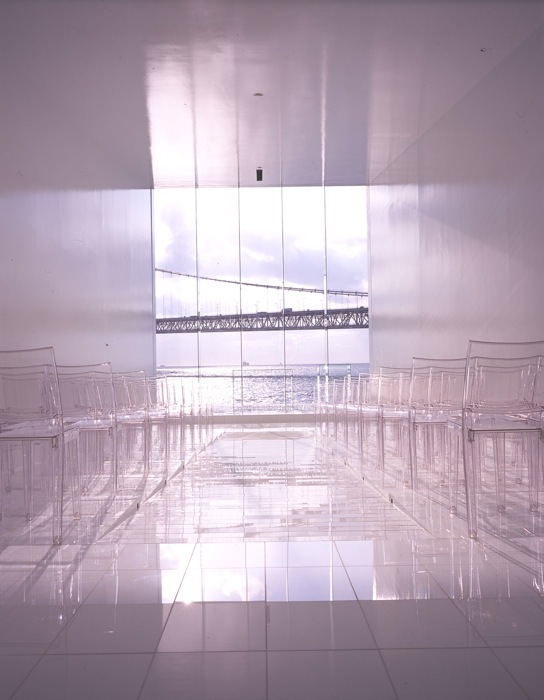 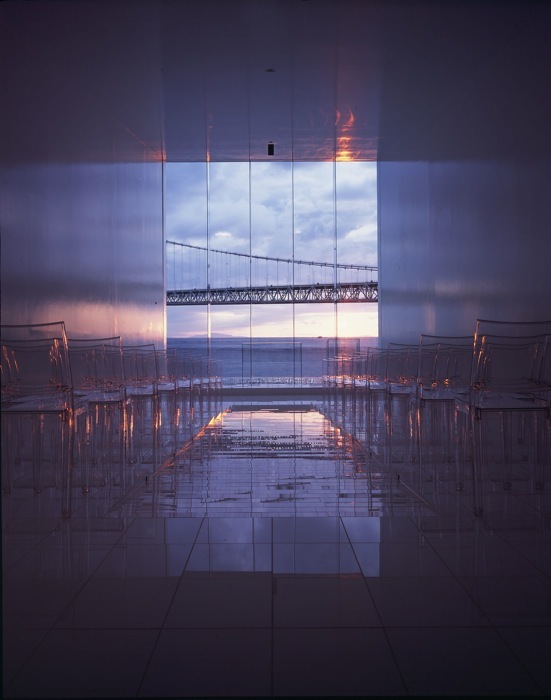 In order to focus the visitor’s view on the sea and sky vista, the western elevation is fully glazed.Within the ceremony space, the floors, walls, and ceiling are made of highly reflective white surfaces that catch the natural sunlight.Moreover, the volume’s slope adds to the room’s reflectivity. 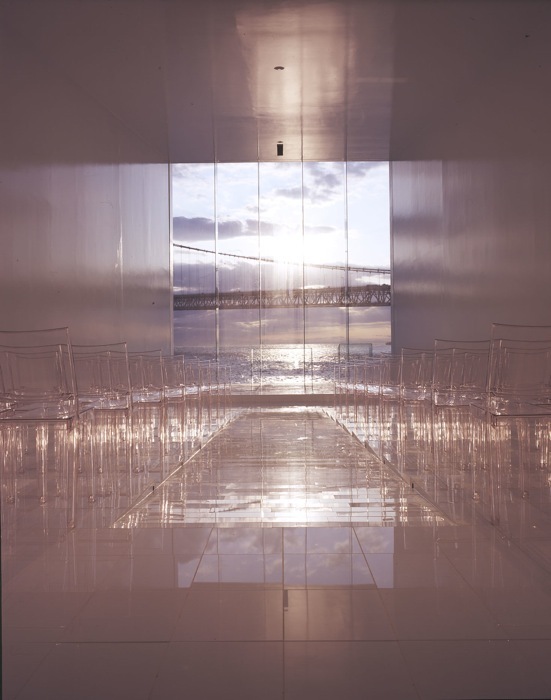 The quality of light within the space is intimately linked with the exterior environment, and changes throughout the day before climaxing with the spectacular sunsets. 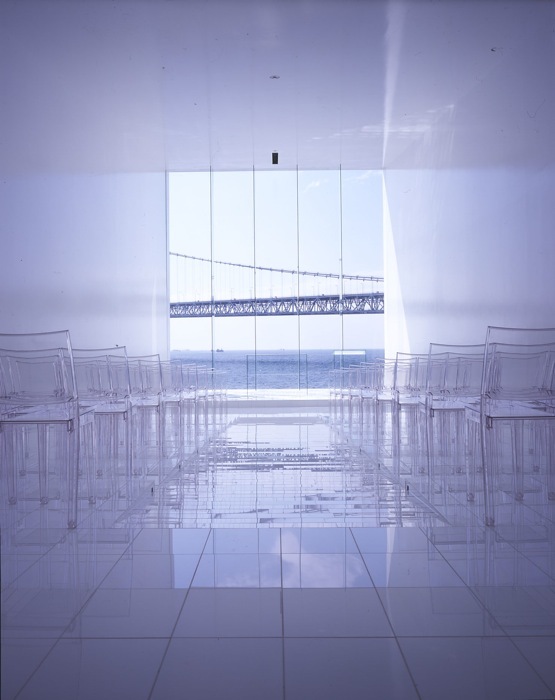 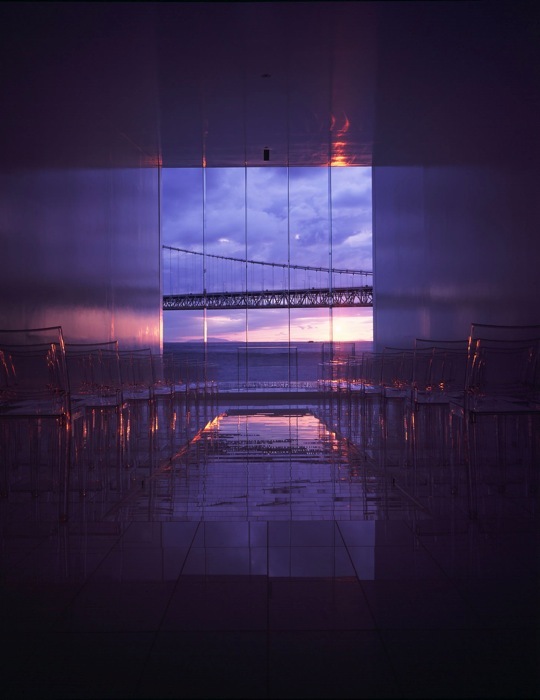 This chapel has no religious icons to mark occasions but rather uses the natural phenomena of the site to imbue the space with a sense of the sacred and the surreal.